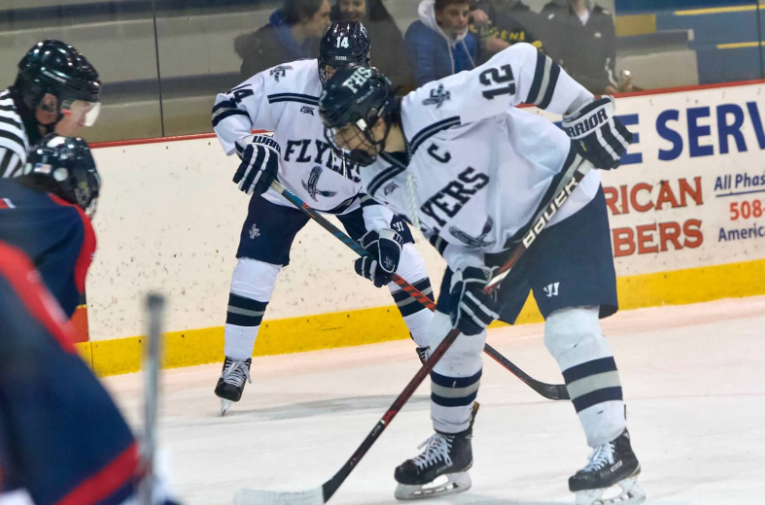 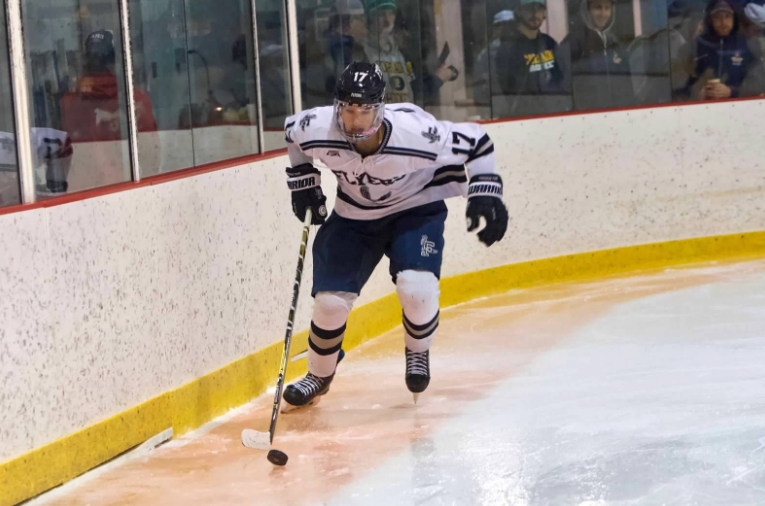 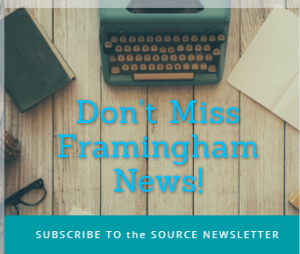 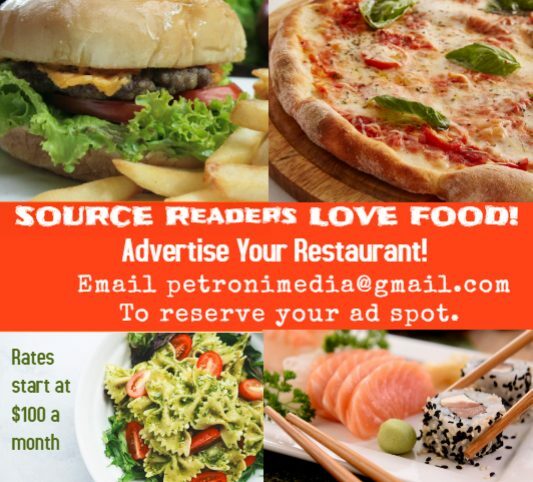 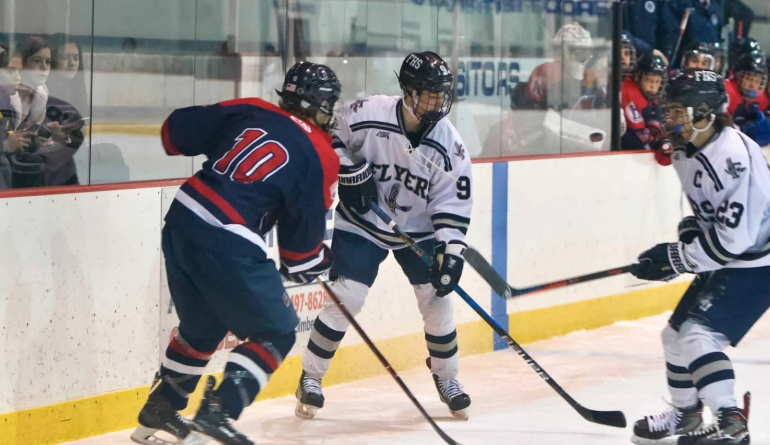 FRAMINGHAM – Will Trischitta scored the game-winning goal for the Flyers at 7:22 in the first period yesterday at Loring Arena. 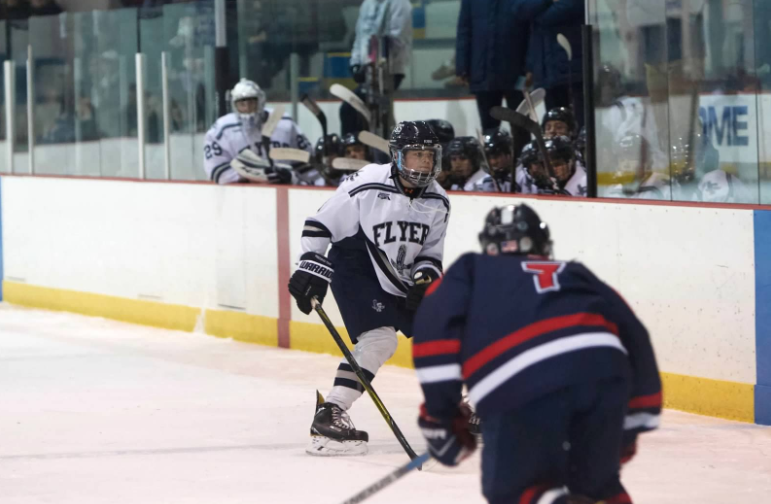 That 1-0 goal was all the Flyers needed to shut out Bay State Conference foe Brookline High. 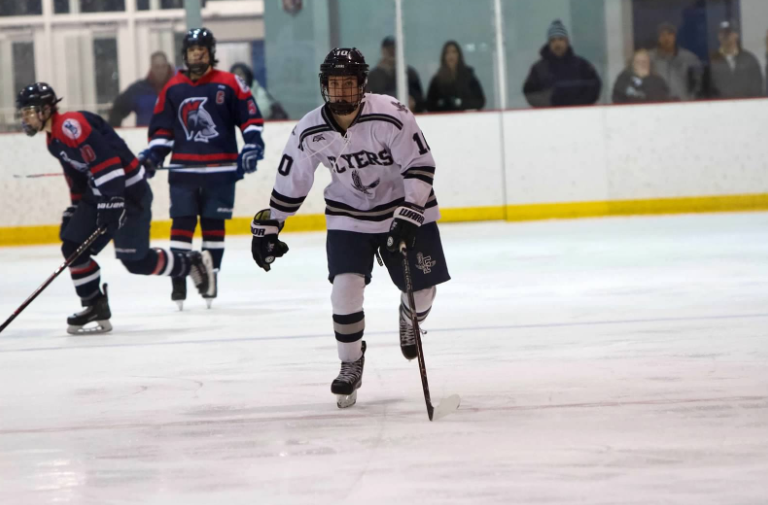 Trischitta would add two more goals in the third period earning a hat trick, in the 10-0 win over the Warriors. 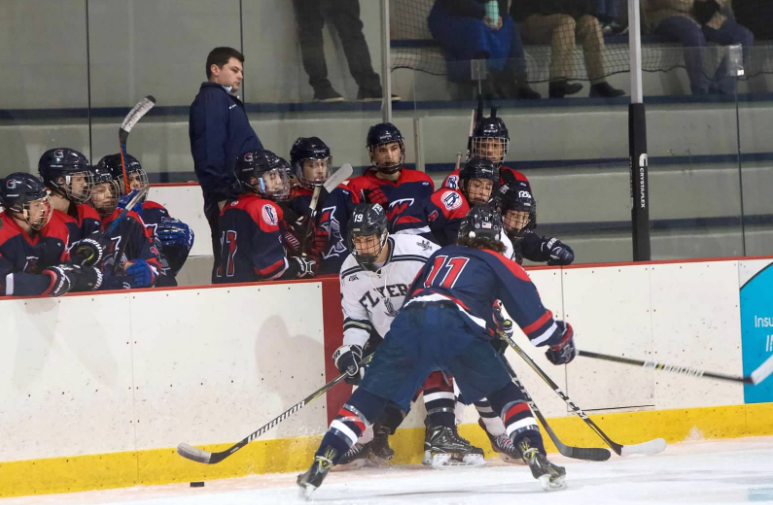 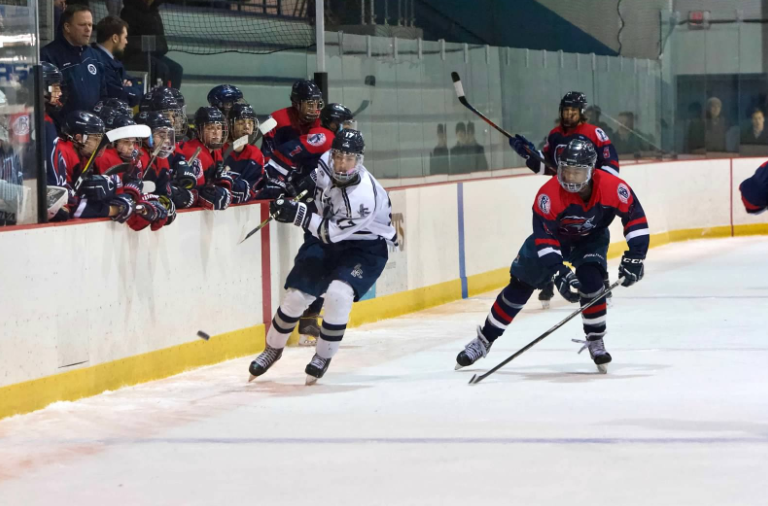 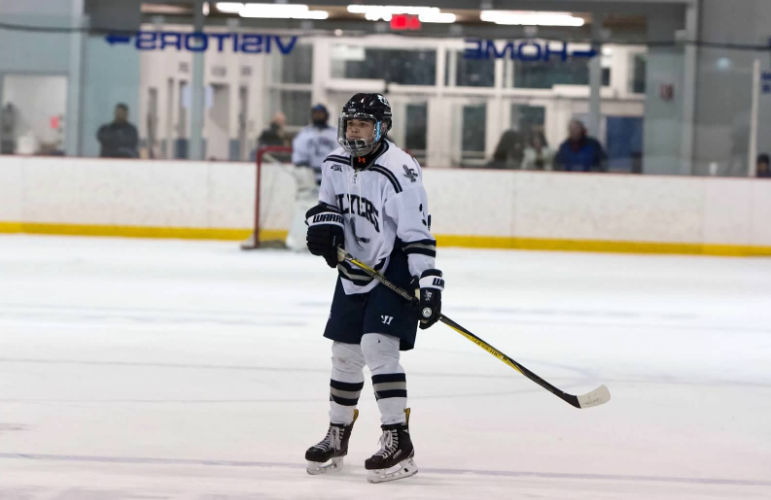 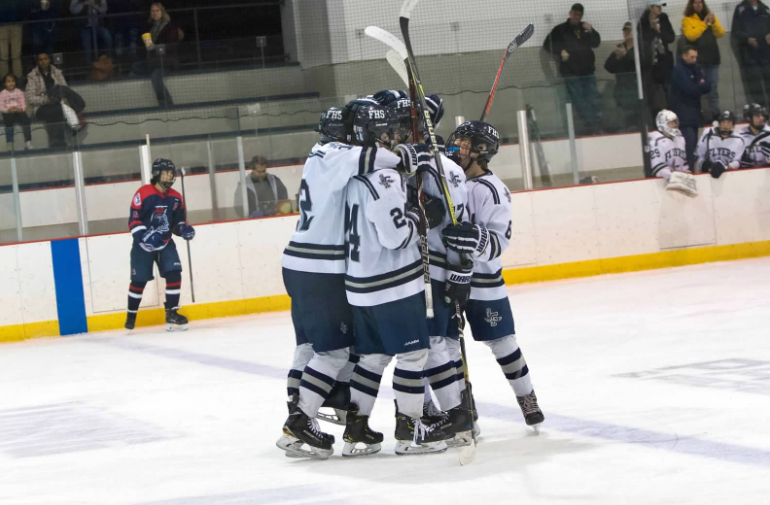 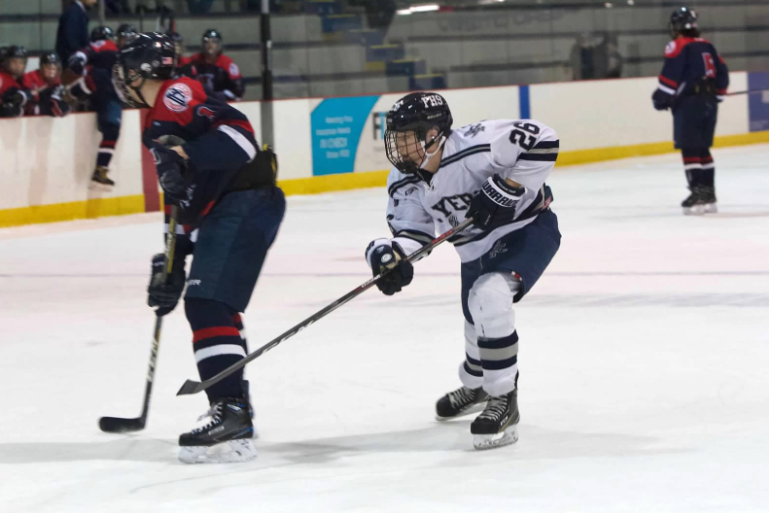 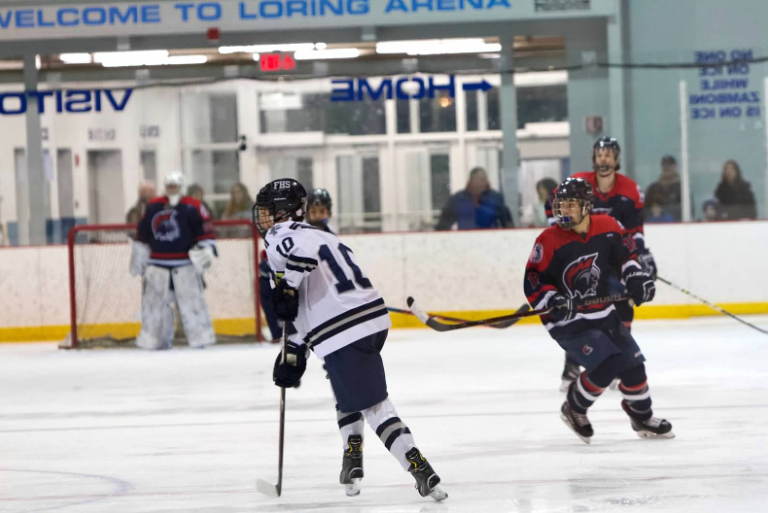 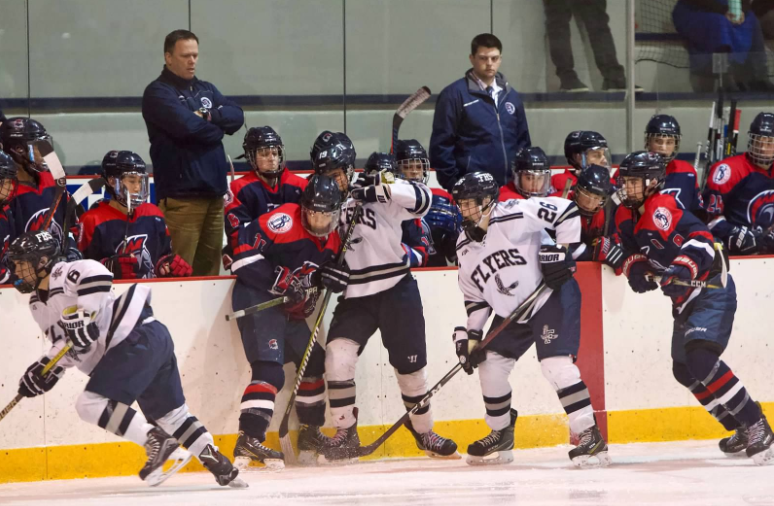 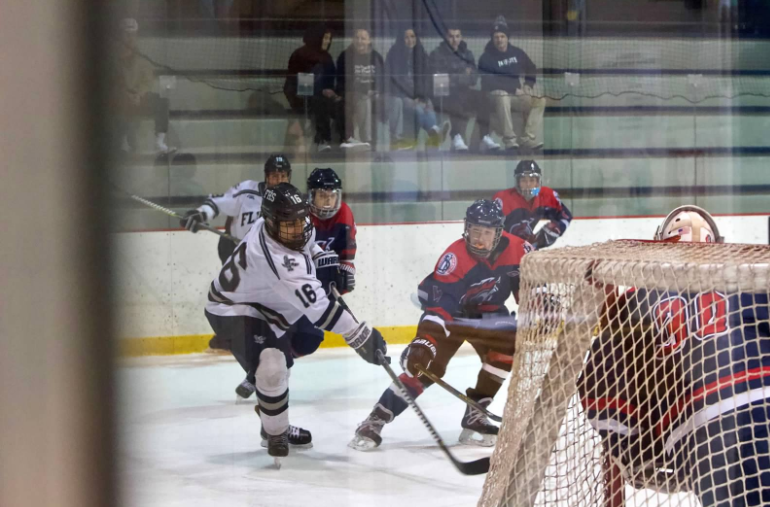 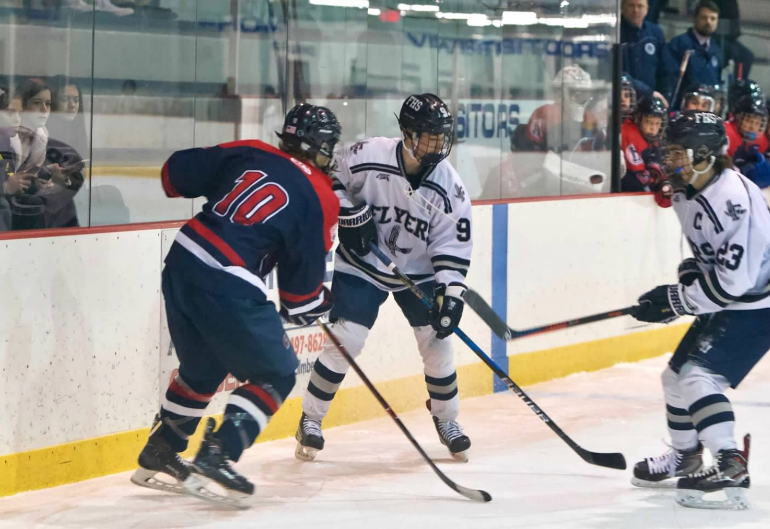 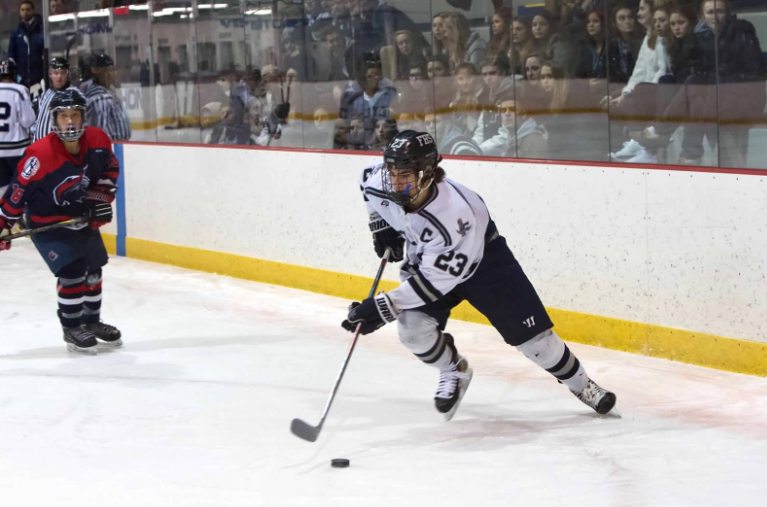 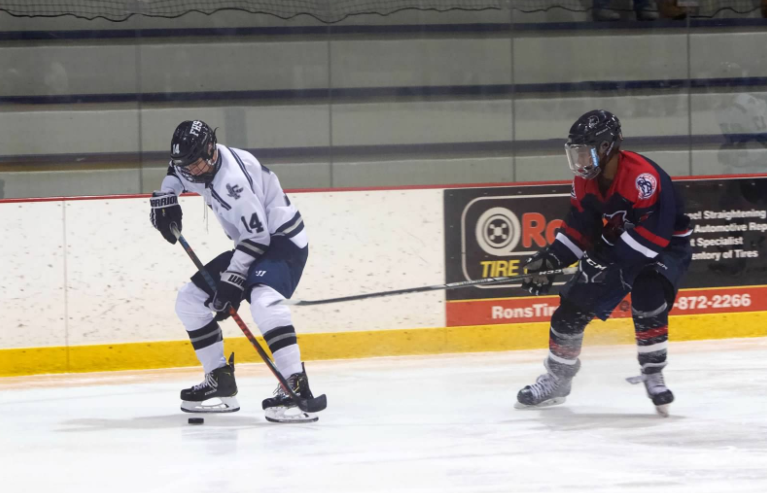 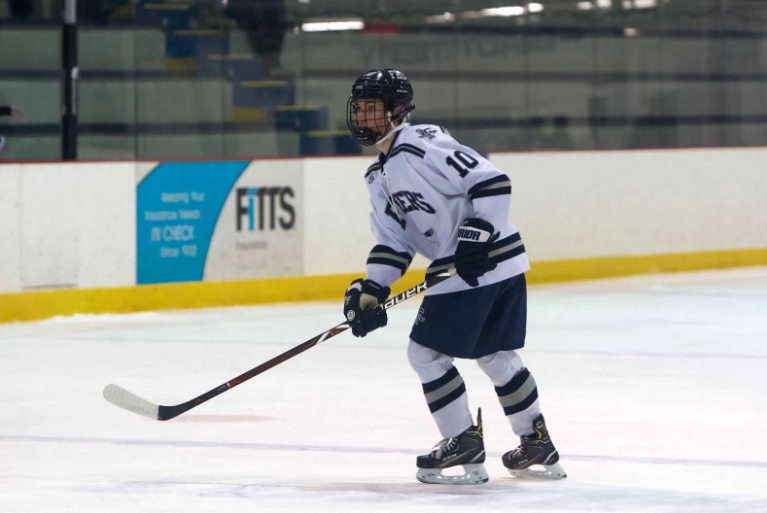 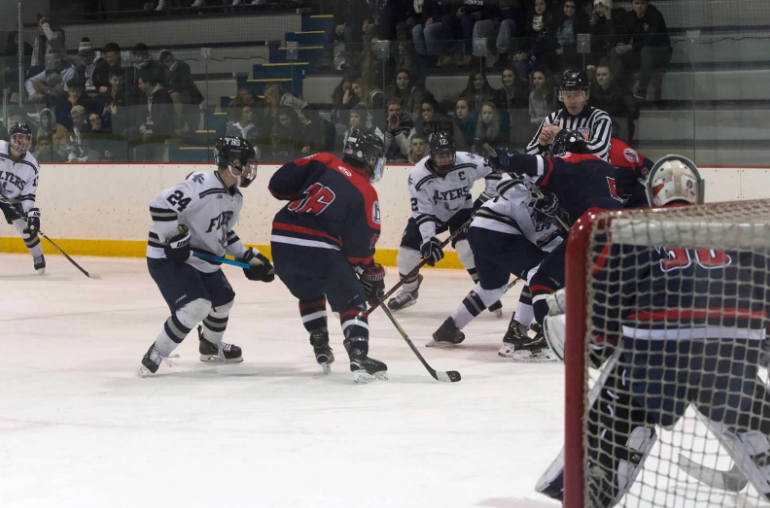 Seven Flyers scored in the victory Saturday evening, to keep the Framingham High boys ice hockey team undefeated in the Conference at 6-0. 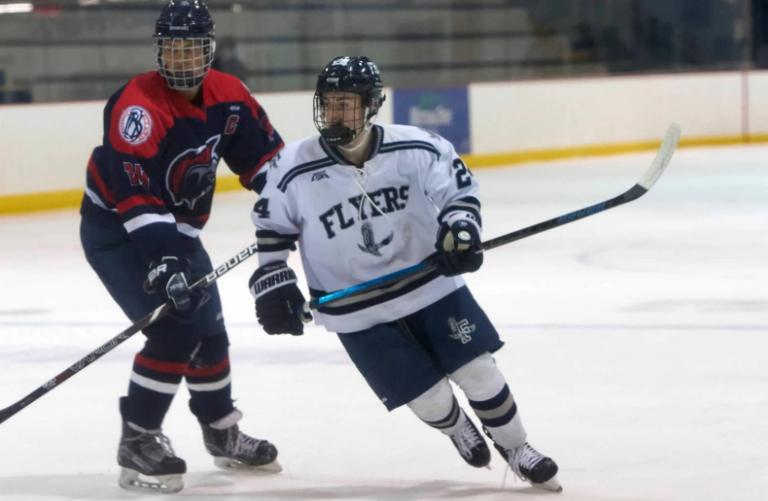 Robbie Lopez scored with 4:15 left in the first period, to give the Flyers a 2-0 lead after the first period. 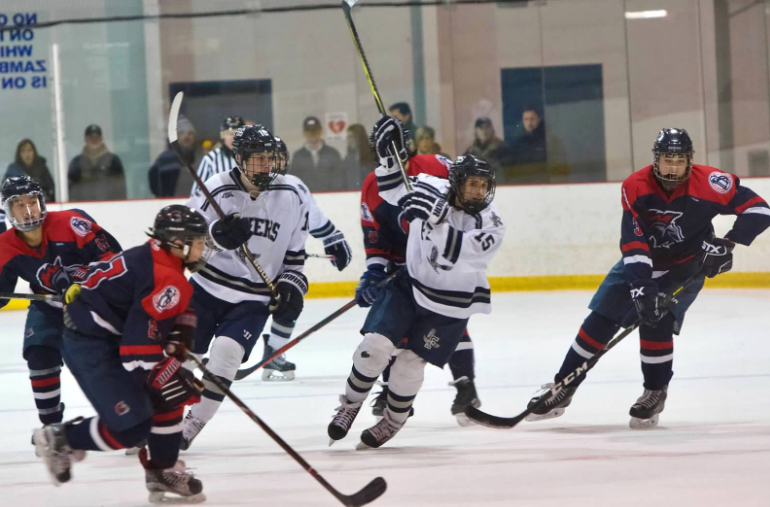 Framingham was up 4-0 after the second period with goals by defensemen Dom Leone and Lopez, again. 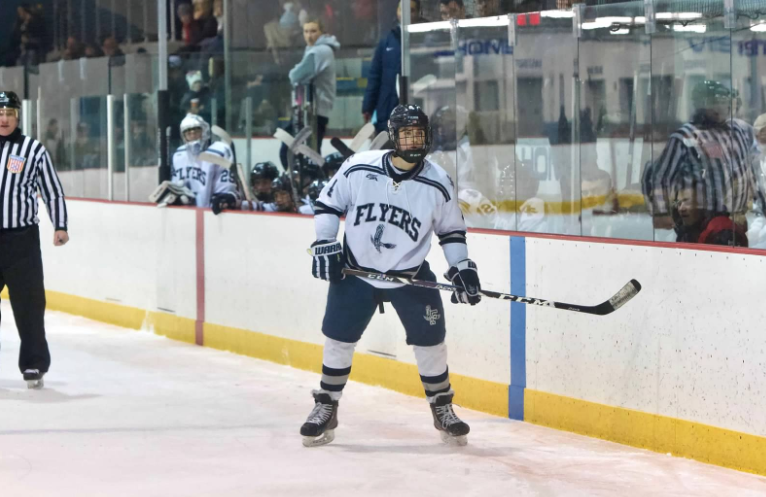 Trischitta notched his second goal of the night to open the Flyers scoring in the third period at 13:06 minutes remaining. 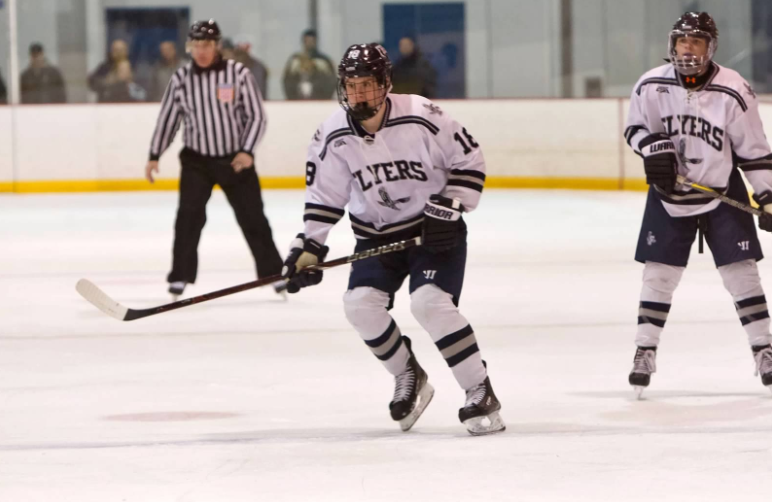 He earned his hat trick on the Flyers at 9:38 minutes left in the third period. 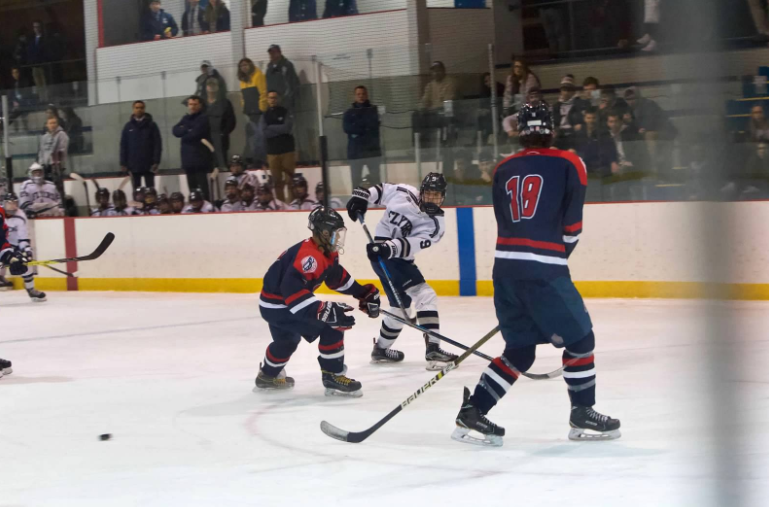 Ben Martel scored with 5:43 minutes left in the third, to give Framingham a 7-0 lead. 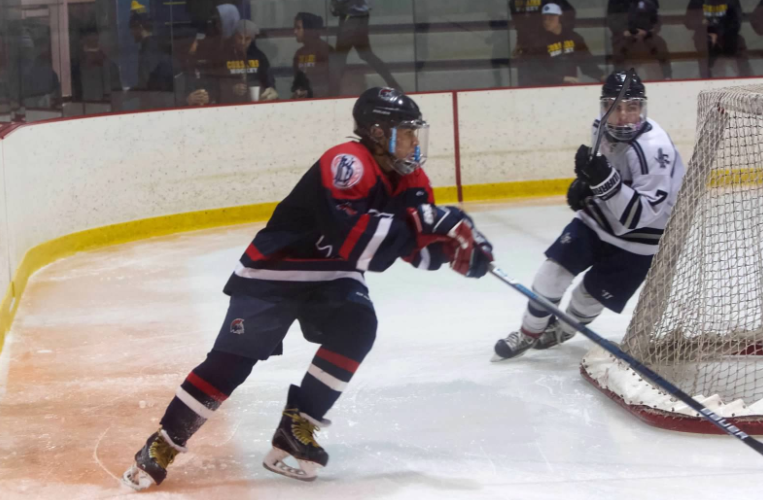 Senior Brian Tosi made it 8-0, with 5 minutes left in the game. 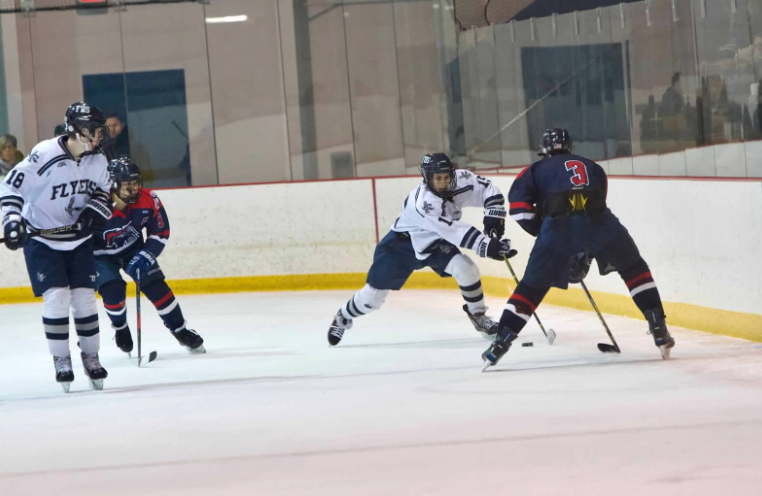 Jared Shimelmen scored to make it 9-0. 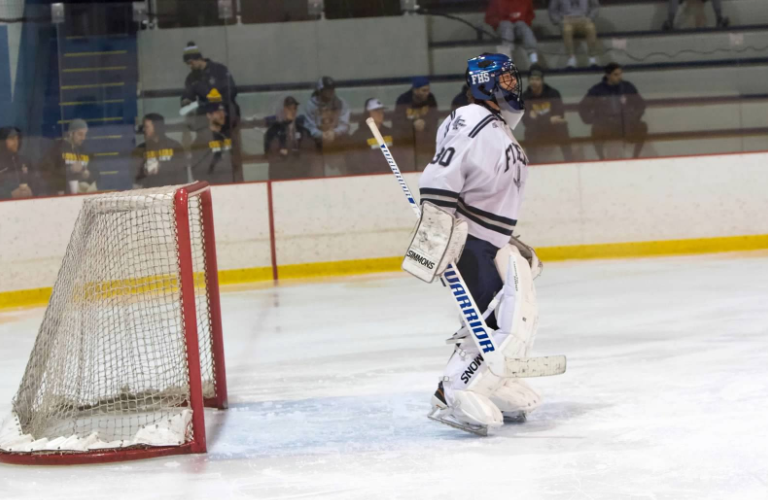 With 3:55 remaining in the third, Thomas Duane made the game 10-0. 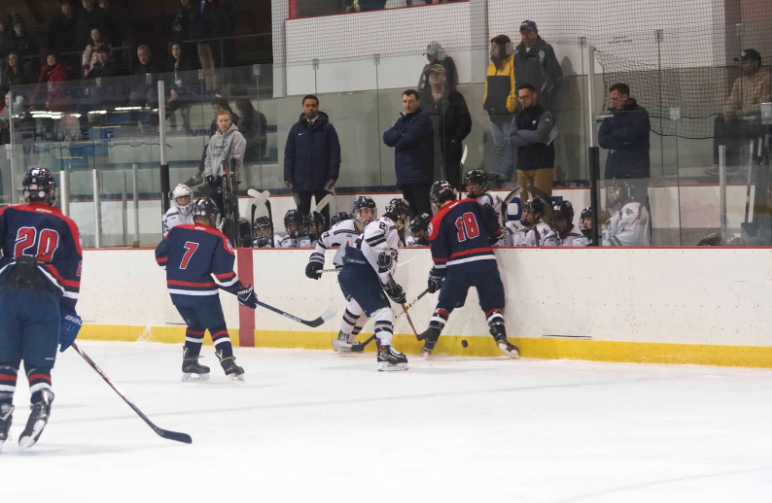 Framingham is now 9-2-1, under head coach Will Ortiz. 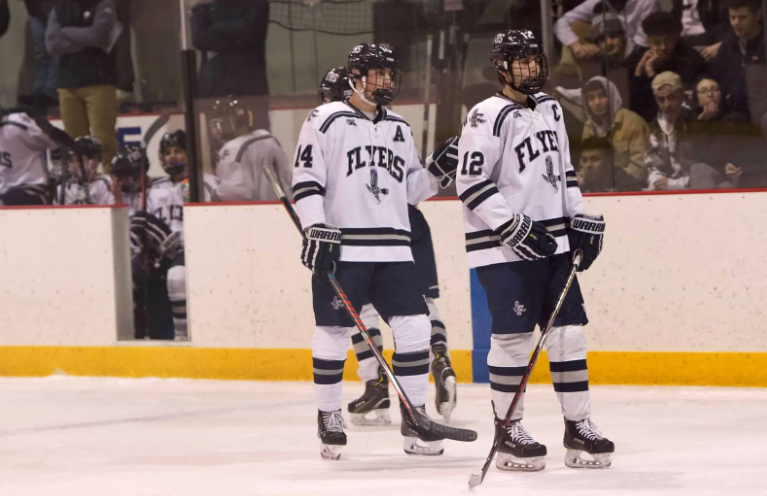 Next up for the Flyers are the Tigers of Newton North on Wednesday. 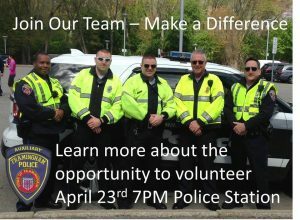 VIDEO by Aiden Beckman and Angelo Moutafis.